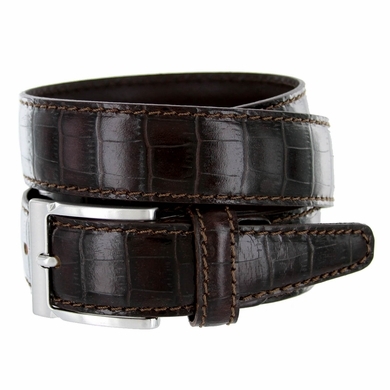 Men's Italian Alligator Embossed Calfskin Made in Italy Leather Dress Belt 1-3/8" (35mm) wide. Silver tone Belt Buckle and Leather loop with contrast stitching. Entire belt leather and buckle are Made in Italy.